CSBS named a team from Eastern Kentucky University as the winner of its 2018 Community Bank Case Study Competition. The winning student team members are Lorelei Nguyen, Aaron Schmidgall and Dalton Stanley. Maggie Abney served as faculty advisor and Central Bank & Trust Co. as the team’s community bank partner. 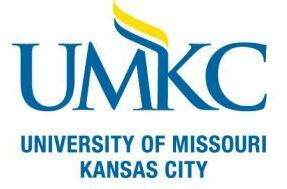 A team from University of Missouri – Kansas City placed second. The students are Alison Irwin, Justin Loerts, Mason Paulus, Tristan Perkins and Conrad Schroff. William Keeton and Forest Myers served as faculty advisors and Citizens Bank & Trust as the bank partner. A team from Southeastern Louisiana University placed third. The students are Kathryn Bokun, Nicholas Brennan, Mason Case, Robert Maddox and Elizabeth McMurray Hunter. Danielle Lewis served as faculty advisor and Gulf Coast Bank & Trust Co., as the bank partner.